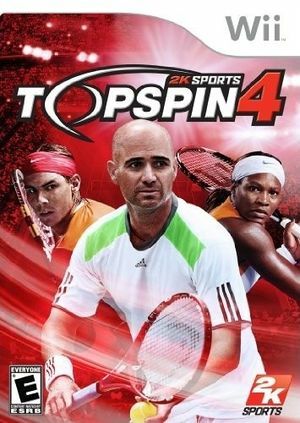 Top Spin 4 is a tennis video game developed by 2K Czech and published by 2K Sports. The game features licensed professional players, venues and equipment with professional players like Roger Federer, Rafael Nadal, Novak Djokovic, Andy Murray, Pete Sampras and Andre Agassi. The graph below charts the compatibility with Top Spin 4 since Dolphin's 2.0 release, listing revisions only where a compatibility change occurred. This page was last edited on 16 January 2018, at 08:31.